For someone who's made his scars so central to his music, the struggle feels natural. 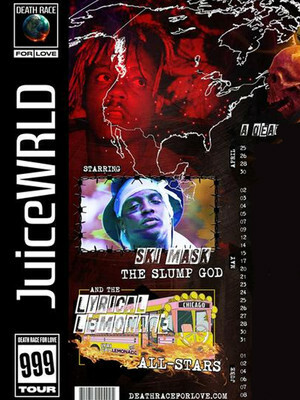 At just 19 years of age, Juice WRLD debuts an impressive and fully coherent sound on his inaugural record, charting the highs and lows of adolescent love with Malone's trademark lovelorn lyrics and Lil Yachty's swagger, making poetry out of his pain as he reckons with depression and heartbreak. Through swathes of psychedelia, 80s synth-pop, 90s alt-rock and post-punk the gifted innovator emerges as the new breed of hip hop superstar, one who isn't afraid to experiment with texture and almost avant-garde structures under the glare of the mainstream. Sound good to you? 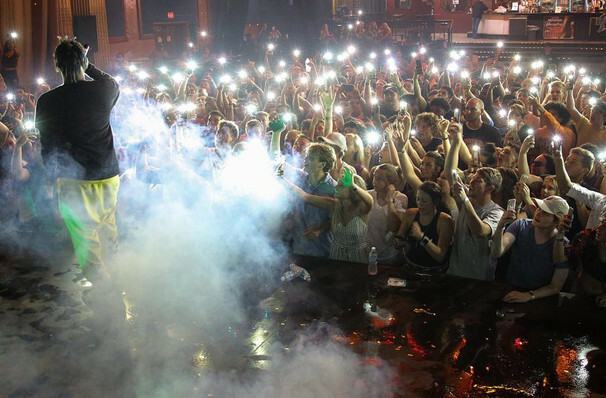 Share this page on social media and let your friends know about Juice Wrld at Coca-Cola Coliseum. Please note: All prices are listed in US Dollars (USD). The term Coca-Cola Coliseum and/or Juice Wrld as well as all associated graphics, logos, and/or other trademarks, tradenames or copyrights are the property of the Coca-Cola Coliseum and/or Juice Wrld and are used herein for factual descriptive purposes only. We are in no way associated with or authorized by the Coca-Cola Coliseum and/or Juice Wrld and neither that entity nor any of its affiliates have licensed or endorsed us to sell tickets, goods and or services in conjunction with their events.